For business, industry and education, the LD-V4400 provides increased efficiency, added impact and greater versatility. Rapid search speed, 1.0 sec. 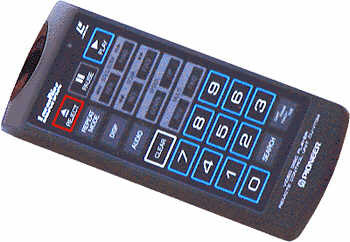 Average (CAV), brushless motor, fully automatic disc loading, automatic lock-down, text overlay, external sync and RS-232C interface to enable computer control provide unequaled power as well as peak performance. The archive site has a copy of the Operation Manual for the LD-V4400. Please see the manuals page. LD-ROM (LaserDisc-Read Only Memory) is a new multimedia format combining the outstanding benefits of LaserDisc and CD-ROM. 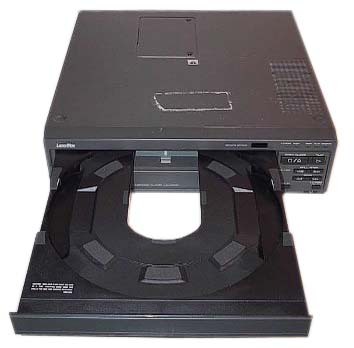 An LD-ROM disc can carry high-quality audio and video, as well as digital data (computer text and graphics, digital audio, etc.) By eliminating the need for a separate data storage medium such as CD-ROM, it greatly simplifies the use and storage of exciting new multimedia programs. Previously, a separate LD-ROM adapter was necessary. 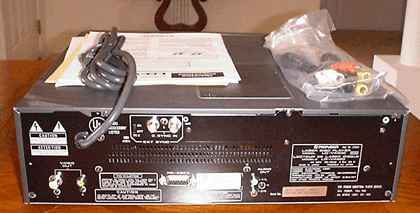 The LD-V4400, however, has space for inserting an LD-ROM board, so it can be used as an LD-ROM drive -- a significant capability. The LD-V4400 has a typical search speed of only one second from the innermost to outermost portion of the disc. This is three times faster than the previous model in this class. Although the difference between one and three seconds may seem minor, it is, in fact, extremely significant when different locations must be accessed many times. A fast search means more exciting and effective applications for students, trainees, or professional operators. An external composite sync signal can be imported through the Sync in port. The player's video output is locked to this reference signal, allowing clean switching with other video sources. This system, already popular for educational programs in the U.S., is a simplified means of remote control. Tracing the scanner across a barcode instantly instructs the LD player to execute the playback commands encoded in that barcode. 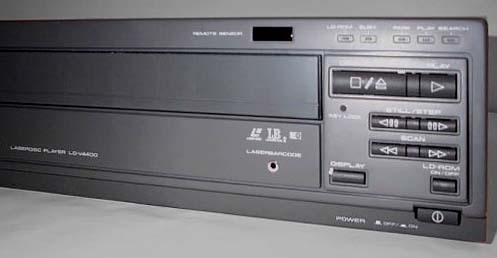 The LD-V4400 is capable of reproducing high-quality digital sound, equivalent to that of a compact disc player. It has four audio channels (two digital, two analog), offering a high degree of flexibility -- particularly in multilingual operations. S/N ratio is an outstanding 102 dB with digital audio. With both BNC and RCA pin terminals, installation problems are minimized. Two monitors can be connected (for use by a teacher and student, for example). Twelve lines of twenty characters, upper and lower case, can be displayed over still or motion video. Many common European characters are also available. The RS-232C interface allows connection to a wide variety of computers. In addition, the RS-232C command protocol is compatible with the Pioneer LD-V4200 and LD-V8000 models. 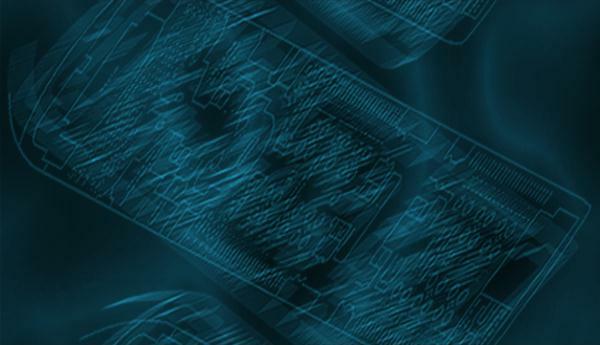 Any specified number of tracks can be jumped; + 100 tracks can be accessed within one field time (1/60th second), which means the picture changes instantaneously. For larger numbers of tracks, this functions as relative address search. The LD-V4400 is extremely durable. Its high MTBF (Mean Time Between Failures) of 10,000 hours has been achieved through the use of a top-quality brushless spindle motor. High durability is vital for business and educational applications. There are two hour meters -- one records total power-on time and the other records hour time since last reset. These meters are important for maintenance and servicing. Unlike conventional meters, these are environment friendly; instead of using mercury, they have the timer built into the software. The LD-V4400 is fully compatible, using the same command language, with Pioneer models of the same class sold in Europe, Australia, and Japan. This means computer programs created in one country can be freely used in another. In addition, the front panel design is similar to previous Pioneer models, so if you're upgrading, you don't need to learn new key positions.